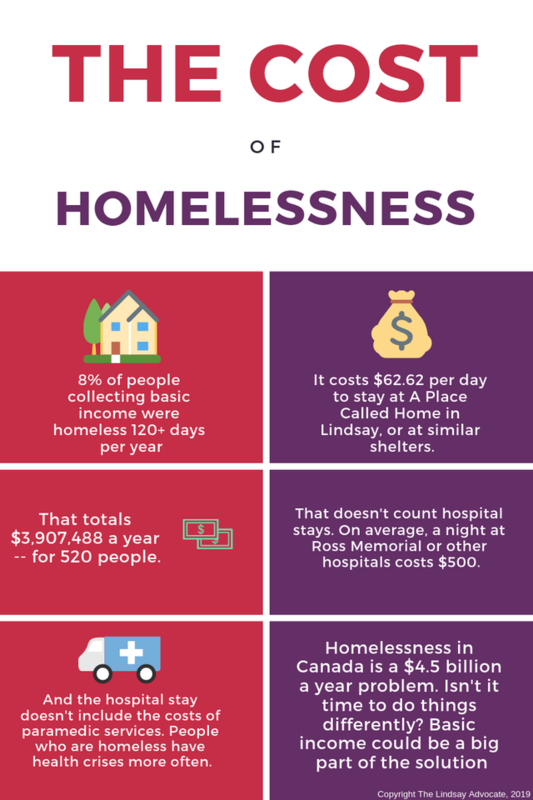 In this article posted on the Lindsay Advocate: The economics of homelessness as basic income pilot winds down brings out some very interesting statistics. Of the roughly 6500 people involved in the pilot 520 of the people were homeless for over 120 days per year. It costs society $62.62 per person per day in a homeless shelter. In this article CBC: 46% of Canadians $200 or less away from financial insolvency: poll the amount of people who are nearing bankruptcy is almost 1/2 the population. Universal Basic Income might not be the solution but definitely a solution must be found.